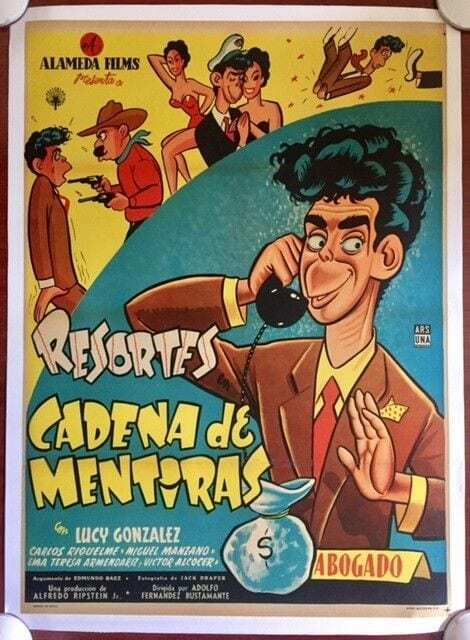 RESORTES CADENA DE MENTIRAS – ORIGINAL 1955 MEXICAN LB POSTER – CABRAL ARTWORK! 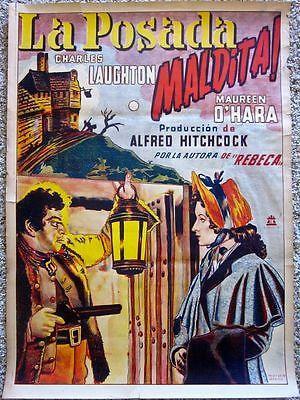 Original 1955 Mexican Country of Origin Linenbacked Movie Advertising poster (26 3/4″ x 37 1/4″) Cartoon Cabral art! Poster has fold line touch ups and cross fold touch ups. This poster is overall in Very Good Condition. Please refer to the accompanying image for a detailed view of this original advertising poster. We are adding new WWI and WWII, advertising and travel posters daily so please check back for new items! SOMBRA VERDE - ORIGINAL 1954 MEXICAN C.O.O. POSTER - DANGEROUS SNAKE ARTWORK!! 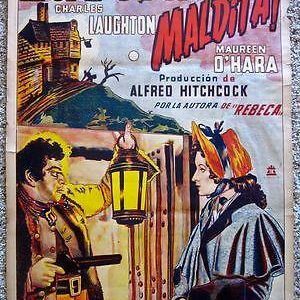 SOMBRA VERDE – ORIGINAL 1954 MEXICAN C.O.O. POSTER – DANGEROUS SNAKE ARTWORK! !